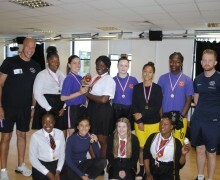 26 female students from Y10 were selected to participate in a Skills and Fitness Programme over 6 weeks with the Boxing4Schools facilitators with sponsorship by Sport England. 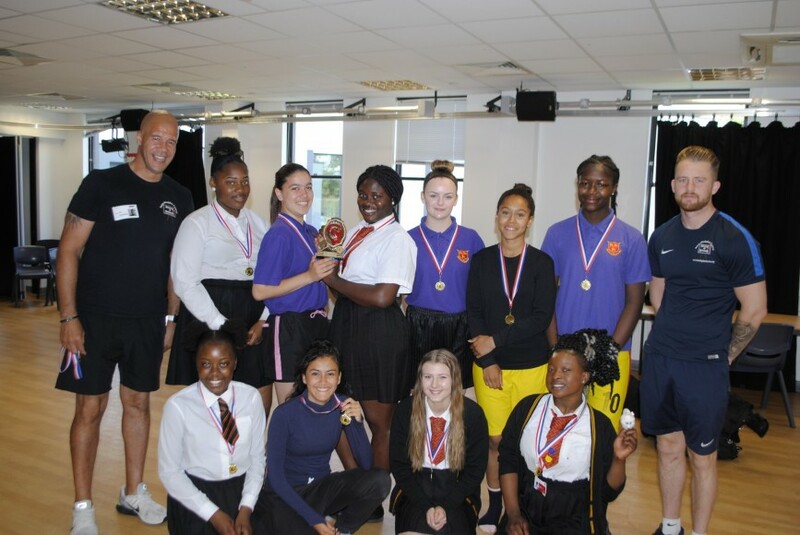 During the sessions 10 girls were selected to represent our school in the end of programme competition which was to take part at the Frank Bruno Boxing Academy in Orpington. Although the schools did not come together to compete the competition was held over 3 weeks with each school marked on their routines and performance and Prendergast Ladywell were overall winners. Each student who participated in the programme received a certificate and the 10 girls who won also received a gold medal and the trophy to display in school. The girls showed commitment and a lot of talent and skill throughout the programme and were a credit to the school on their visit to the Academy.